Plushbeds Shredded Latex Pillow was recently completed by the MattressJunkie.com team. Plushbeds manufactures and sells luxury mattresses and sleep products that promote good health and facilitate quality sleep. At Plushbeds, the focus revolves around finding the highest quality, non-toxic materials, luxurious comfort, and relentless innovation. Plushbeds ships direct to consumer so the prices are very affordable. Check out what we thought about the Plushbeds Solid Latex Pillow below. What sleep position is best for Plushbeds Shredded Latex Pillow? The Plushbeds Shredded Latex Pillow is easily fluffed and molded to work with any sleep position. 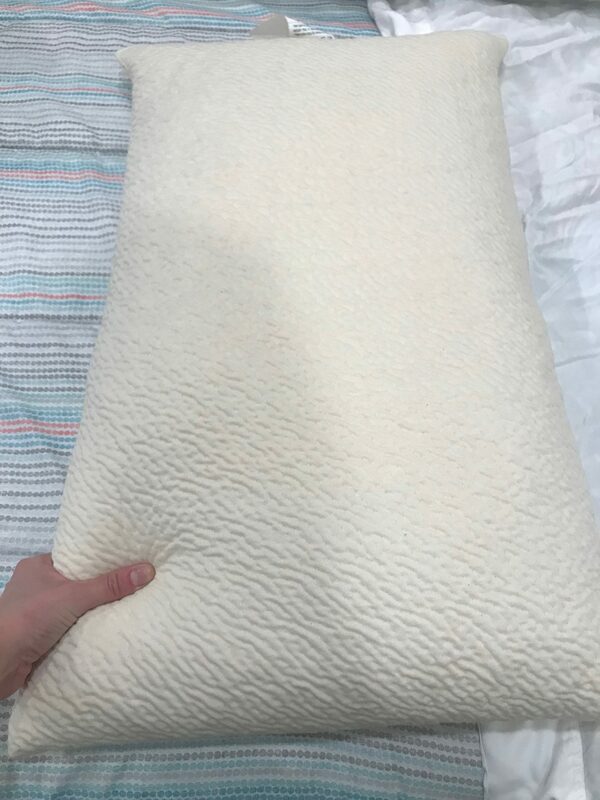 Natural latex is very buoyant and recovers very rapidly when pressure is release so the pillow works with your neck and head pressure to ensure you get proper support in any position. Tell me more about the Plushbeds Shredded Latex Pillow cover. Plushbeds uses a 100% organic cotton cover on the shredded latex pillow. What’s under Plushbeds Shredded Latex Pillow cover? 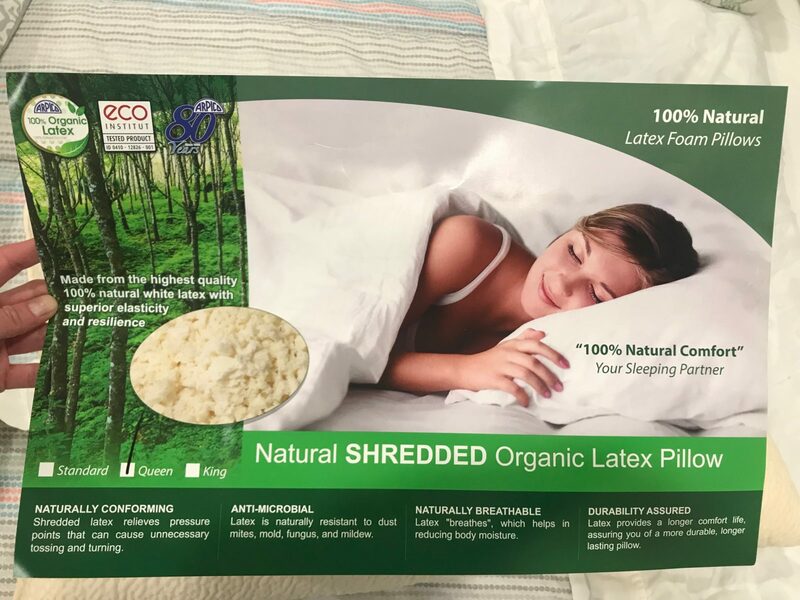 The Plushbeds Shredded Latex Pillow is Global Organic Latex Standard (GOLS) certified so you can rest assured that you are sleeping on the safest and cleanest materials next to your head, neck, and face at night. 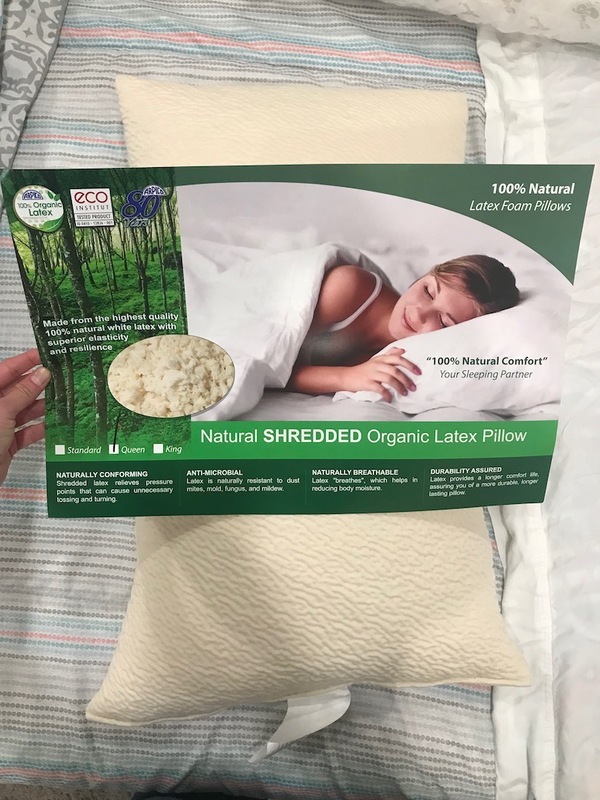 For those that like to fluff and mold their pillow, the Plushbeds Shredded Latex Pillow is made with shredded natural foam. The small pieces of latex wont clump or shift over time. Latex is ultra-breathable so heat retention is not an issue. Latex bounces back quickly when pressure is released so you ensure yourself the exact amount of support you want. Latex is naturally hypoallergenic and resistant to mold and mildew. How much does the Plushbeds Shredded Latex Pillow cost? The Plushbeds Shredded Latex Pillow costs $79 for standard size, $89 for queen size, and $99 for king size. Would we recommend the Plushbeds Shredded Latex Pillow? Plushbeds Shredded Latex Pillow is high quality and feels very luxurious. The pillow is heavy and easily moldable with the shredded foam. 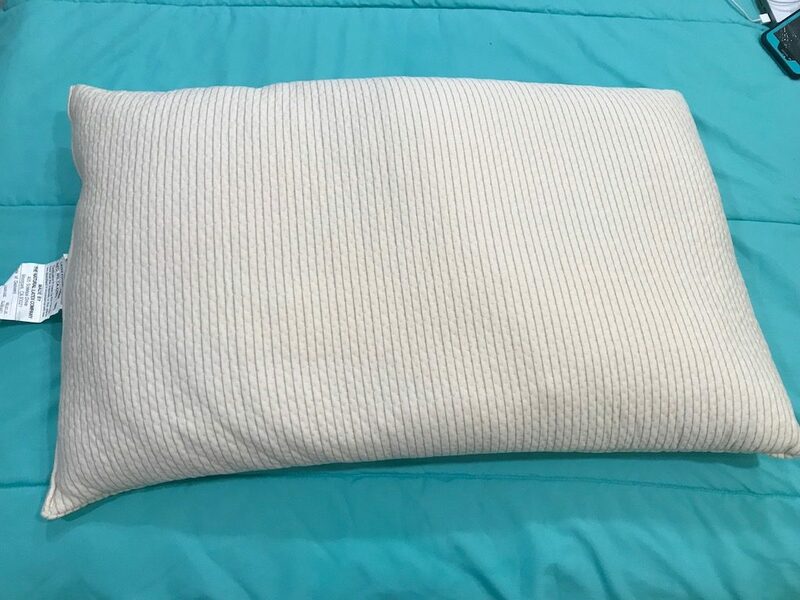 If you want the traditional feel of a pillow with the cooling and clean properties of latex, then Plushbeds Shredded Latex Pillow would be a great option for you. Get your Plushbeds Shredded Latex Pillow here…..